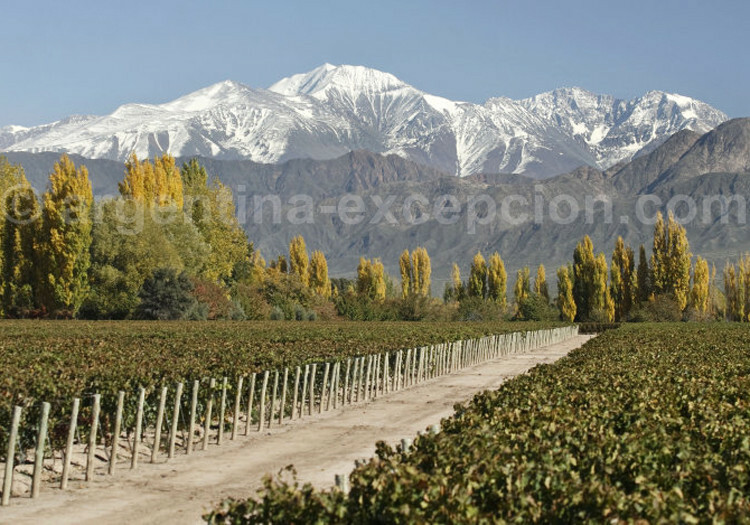 A selection in the wine regions of Mendoza, San Rafael, La Rioja, San Juan, Northwest and Patagonia. 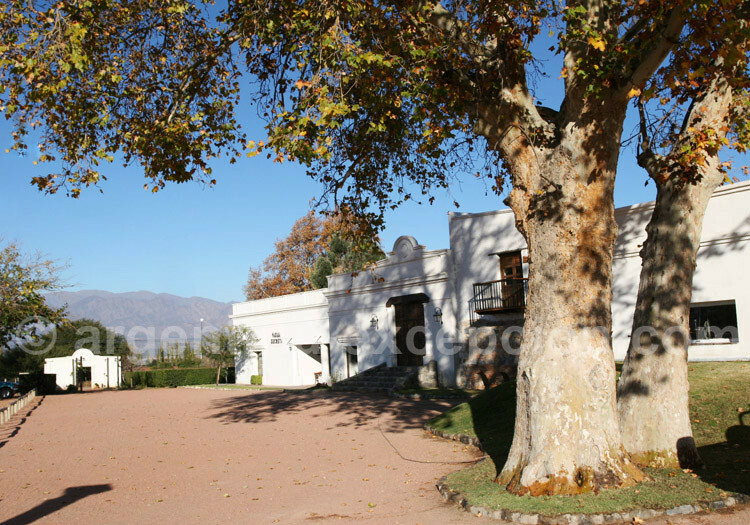 Founded in 1998, the winery now has malbec vinstocks, as well as merlot, cabaret sauvignon and cabarnet franc. Finca Altamira, Finca Bella Vista, finca Mirador, Finca Diamante, Quimera products. Open to the public. Created in 1997 by Jean-Michel Arcaute. In 1999 the Aulan family, already owner of vineyards in Hungary and France, invested in the Alta Vista Project. A grapevine with low yield is added to the quality of the land. Malbec, merlot, cabarnet sauvignon, chardonnay and syrah. Open to the public. 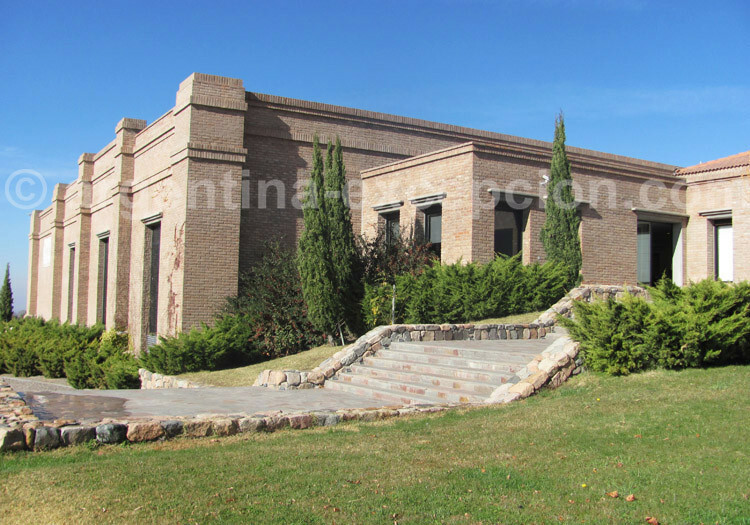 It was built in 1901 between Luján de Cuyo and Maipú by Agustín Álvarez, who was then governor of the province of Mendoza; Benegas is a historic winery that still keeps a charming hand production. In 40 hectares, they cultivate Cabernet Franc, Cabernet Sauvignon and Merlot to market wines with Estirpe Benegas, Benegas and Benegas Lynch brand names. 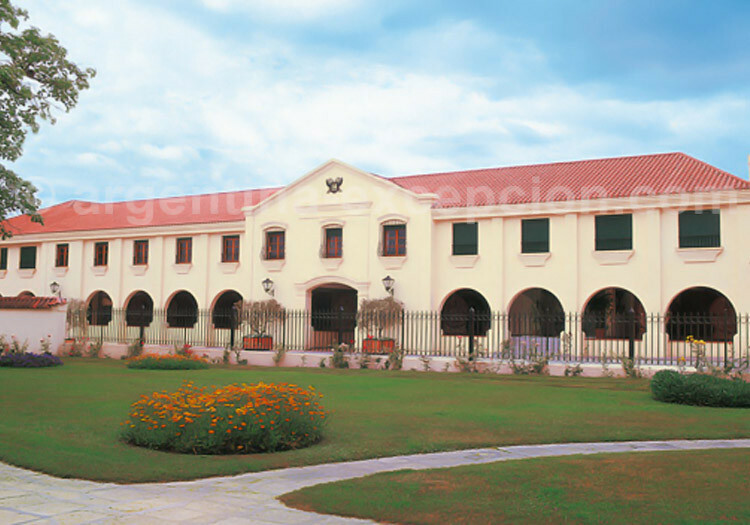 Winery founded in 1902 by Nicolás Catena, Italian inmmigrant. With malbec, cabarnet sauvignon, merlot, cabarnet franc, syrah, chardonnay. Catena and Saint Félicien products. The pyramidal architecture of the winery is particularly original. Open to the public. By the end of 1950, the French company Moët & Chandon (LVMH group) sends oenologist Renaud Poirier to assess the Latin American viticulturist potential. He chooses Luján de Cuyo to start his first vineyards outside France and creates Chandon Argentina Wineries, one of the most important Argentinean “champagne”. Appellation of controlled origin. Open to the public. 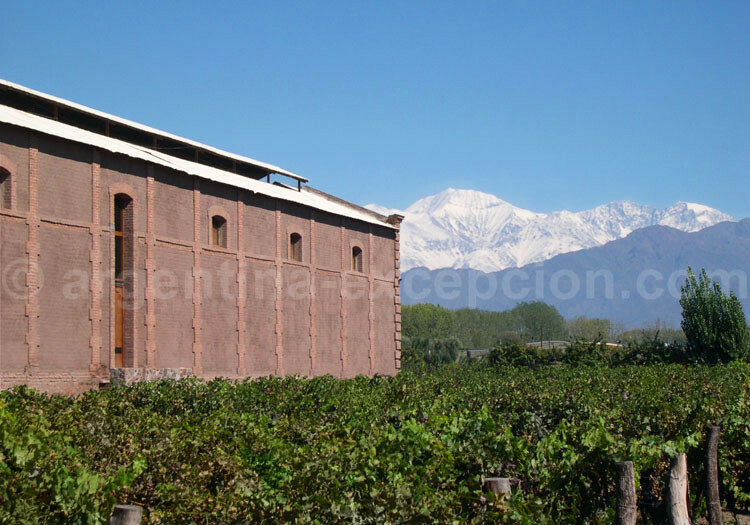 One of the oldest Argentinean wineries, founded in 1897 by Captain Angel Pereyra. Since 1975 it belongs to another family, the Pescarmona. One of the first wineries to have obtained the appellation of controlled origin. A lot of malbec and a distinctive product: the Lagarde Semillón 1942. Open to the public. 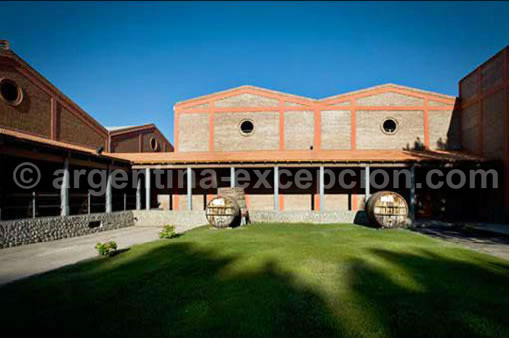 Winery created in 1888 and bought in 1998 by the Argentinean group Perez Companc. Malbec, cabarnet sauvignon, boyarda and pinot noir for the champagne. Cadus, Boyarda, Ocasiónale, Don Nicanor, Nieto Senetiner, Benjamín Nieto and Nieto Senetiner Champaña Products. Open to the public. Winery created by the English engineer Edmund Norton, who sowed his first vinestocks imported from France in 1895. Malbec, merlot, syrah, cabarnet sauvignon, white sauvignon and chardonnay vinestocks for wines all sold under the brand Norton. Open to the public. Ruca Malén comes from a common project of two French, Jean-Pierre Thibaud and Jean-Louis de Montalembert, who created the winery in 1998. The wines, with a base of merlot, tempranillo and cabarnet sauvignon, are sold under the labels Filien, Ruca Malén and Yauquén. Open to the public. 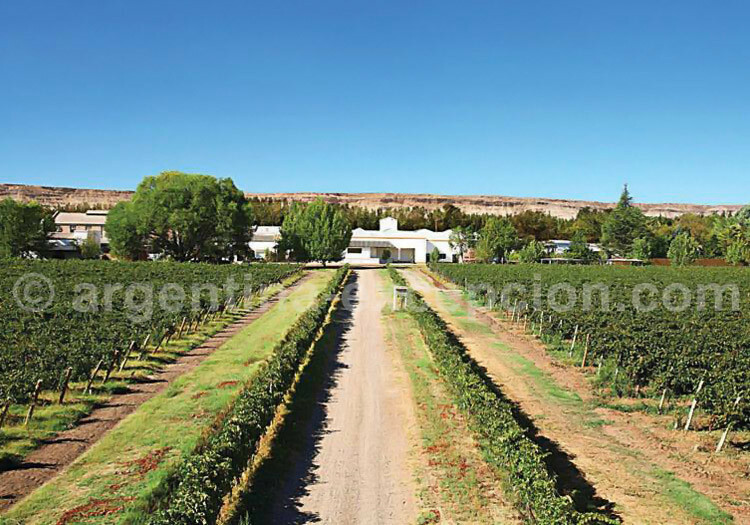 The winery belongs to the Fincas Patagonias group which also sells Zolo wines. The different red wines Tapiz comprise merlot, malbec, cabarnet sauvignon; its white wines include chardonnay, sauvignon blanc and torrontés. Open to the public. 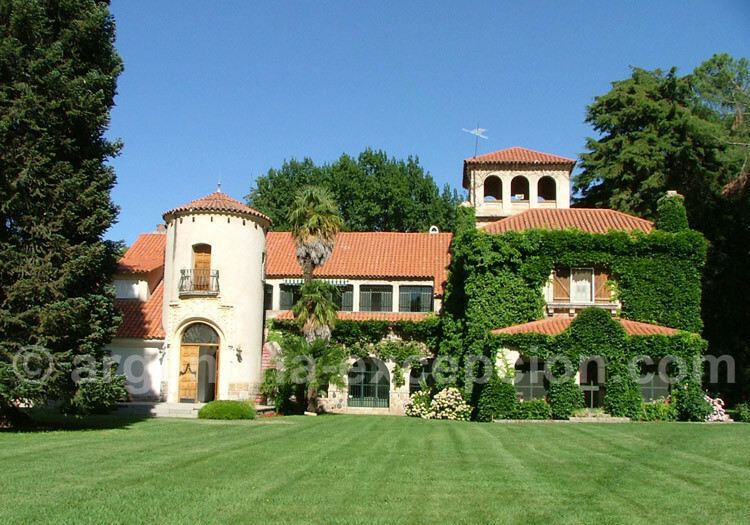 Winery of Spanish style founded in 1898 and bought by Moët Hennessy Wine Estates in 1999. A very-well-qualified wine within Malbec. Three luxury labels: Afincado, Terrazas de los Andes Reserva and Cheval des Andes, a blend of cabarnet sauvignon, malbec and petit verdot. Open to the public. 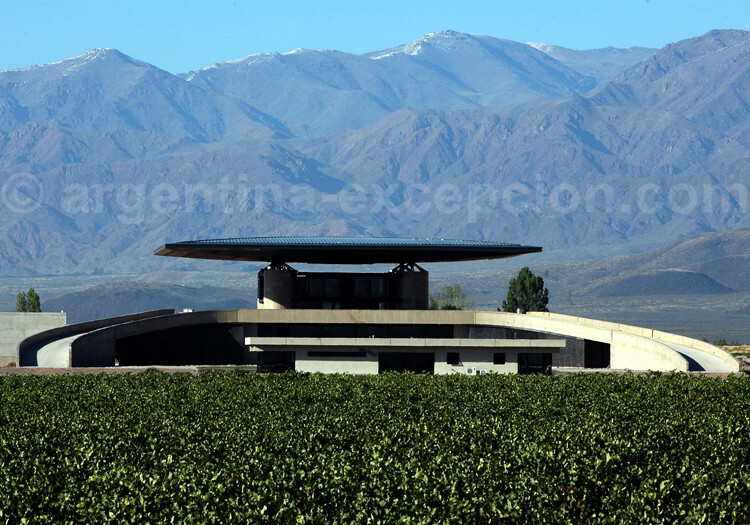 Winery created in 2002 by Carlos Pulenta. 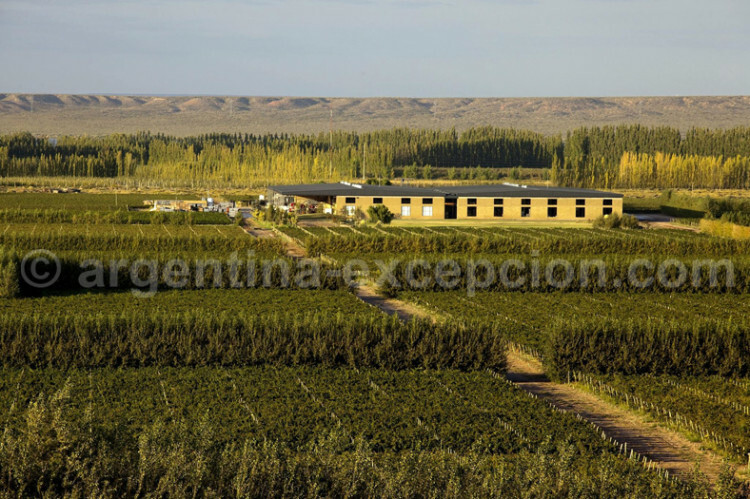 It grows malbec, cabarnet sauvignon, semillón, chardonnay, bonarda and merlot vinestocks. Tomero and Vistalba products. Open to the public. 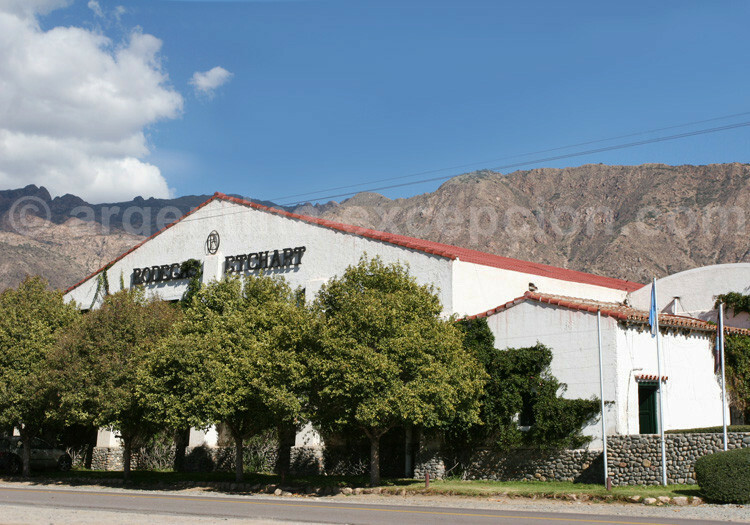 The winery, founded in 1898, is one of the most important in the region. You can find López wine under several labels: López Montchenot, Château Vieux, Traful… red wines, white wines and champagnes. Open to the public. 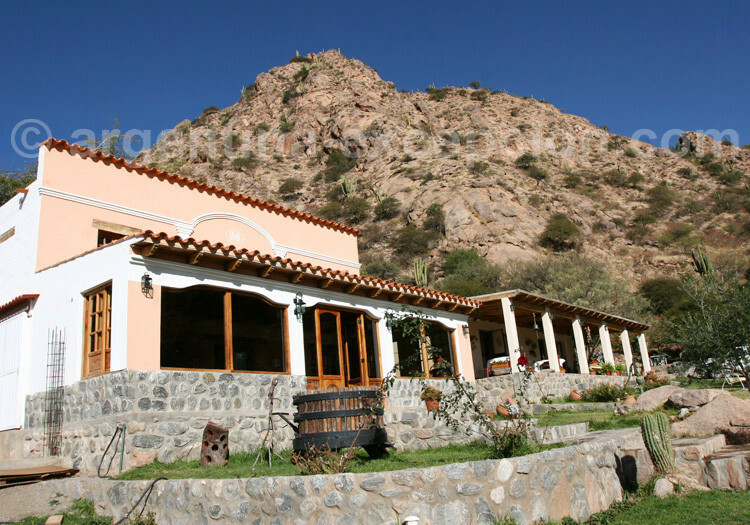 Located in Valle de Lunlunta, Domaine St. Diego produces wine based on Cabernet, Malbec and Chardonnay, confidentially in only 8 hectares. The owner, Rosalía Pereyra and her husband, enologist Ángel Mendoza, organize private visits to make you discover their wines: Pura Sangre, Paradigma, Brut Xero and Oportuno. Winery founded in 1968 with production techniques which tend to place them immediately on the World market. 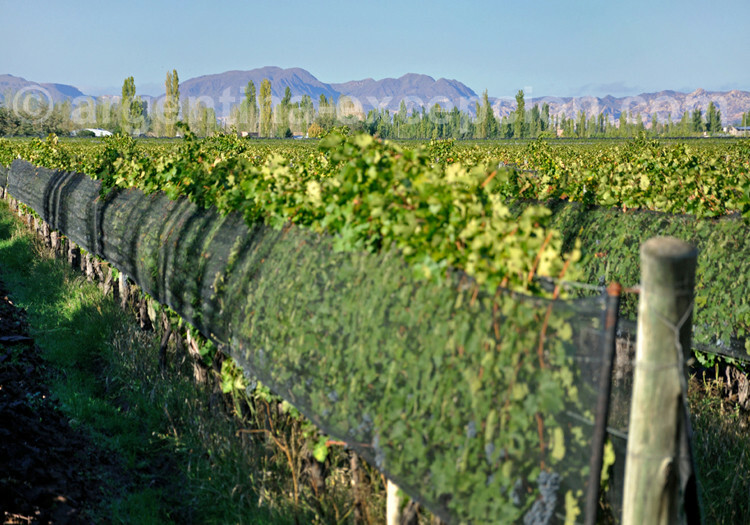 Zuccardi was one of the first to impose the tempranillo as well as the unusual sangiovese, torrontés and viognier of which it is an experimental producer. 60% of the Zuccardi vineyard is biologic and has its emblematic label, Santa Julia. Open to the public. 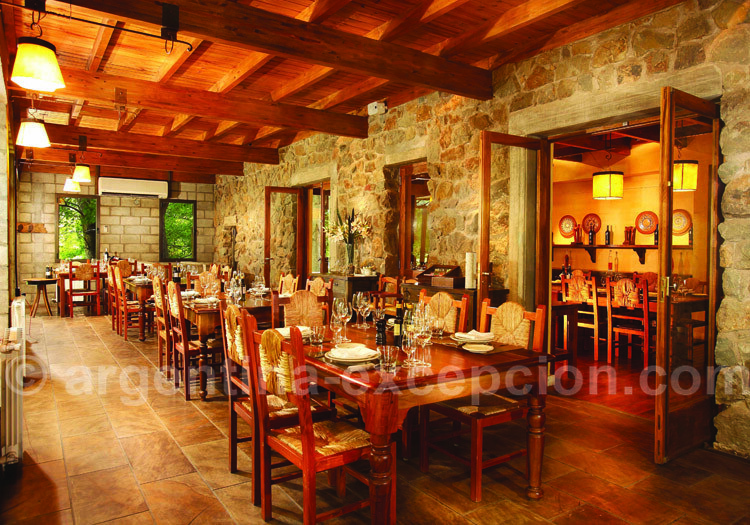 The winery belongs to the Tupungato group, which has sold Altus and Algarrobos wines since 1998. The old vinestocks which are over 30 years produced by Altus comprise malbec, cabarnet sauvignon, tempranillo for the red wines and torrontés for white wines. Open to the public. 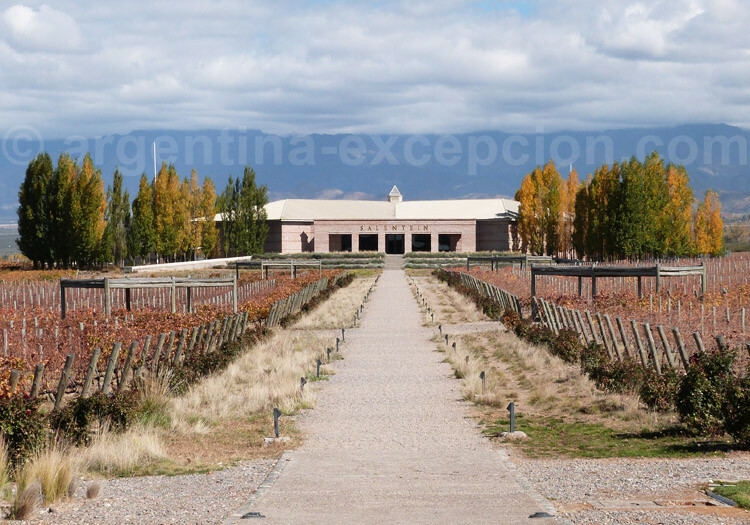 The history of this winery dates back to 1879 when Felipe Ruttini, son of an Italian vinegrower migrated and planted his first vinestocks in Mendoza. 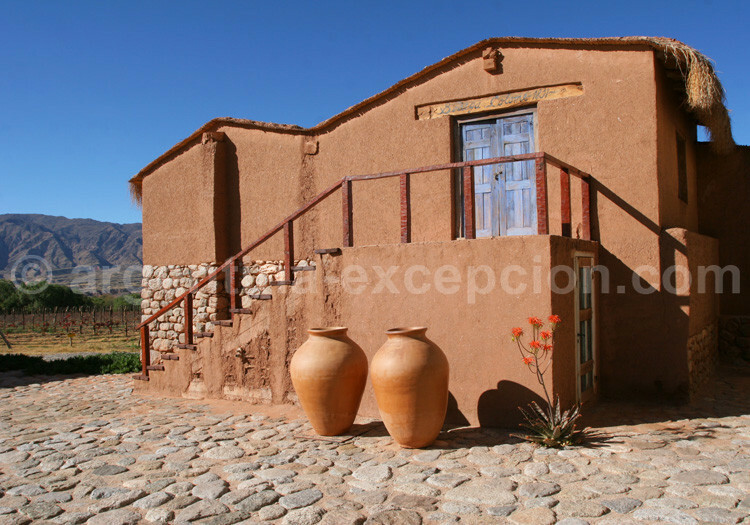 Its wines are made from vineyards of merlot, malbec, cabarnet sauvignon and chardonnay. Open to the public. This young bodega bought by a young french couple has beautiful landscapes and a unique architecture, with a French-Italian inspiration slate roof. Commercialized with varios names (Serbal, Catalpa, Atamisque), its wines has various grape varieties like Malbec, Cabernet Sauvignon, Cabernet Franc, Pinot Noir, Merlot, Chardonnay, Sauvignon Blanc and Viognier. 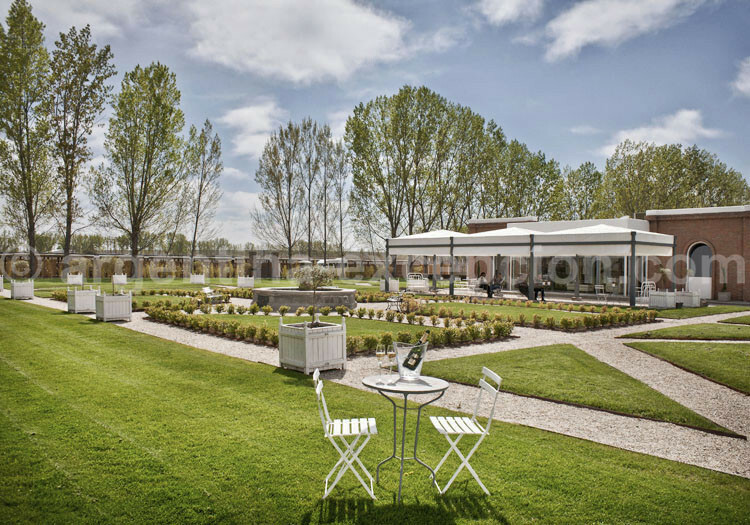 A new restaurant specialized in trout, a golf course and various lodges complete this splendid place. 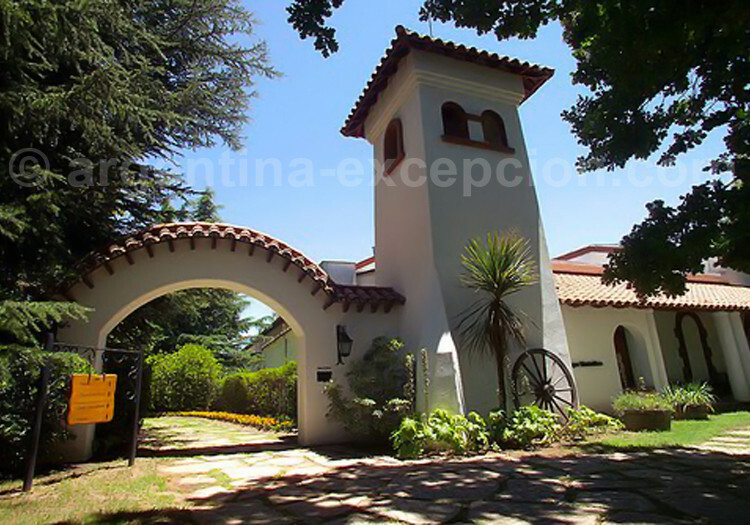 Bombal family of French Origin and pioneer in the region has lived in Mendoza since 1870. Vineyards bombada, malbec, cabarnet sauvignon and sauvignon blanc. Estancia Ancon and Bombal. 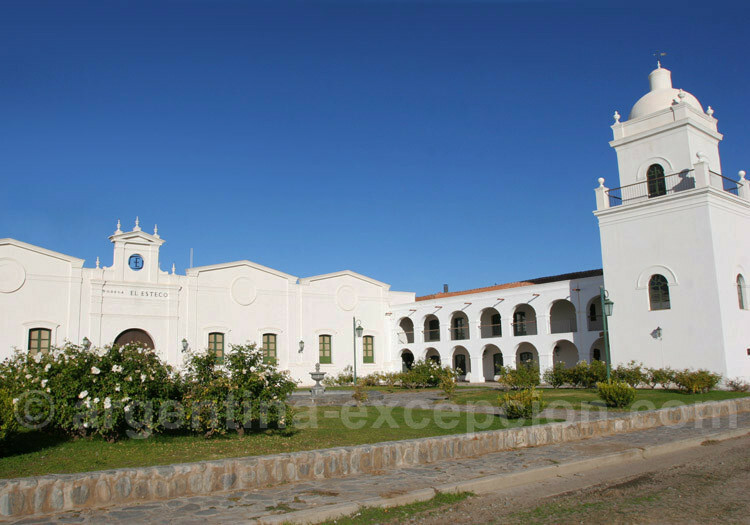 The estate comprises an estancia, a winery and a castle. Open to the public. French brothers Jacques and François Lurton, already wine producers in Europe and the new World, created Lurton winery in 1995. Its wine is made with boyarda, cabarnet sauvignon, malbec, syrah, chardonnay, chenin, pinot gris, sauvignon, torrontés. Open to the public. Fournier group was created in 2000 and, besides Argentina, it produces wine in Europe and Chile. 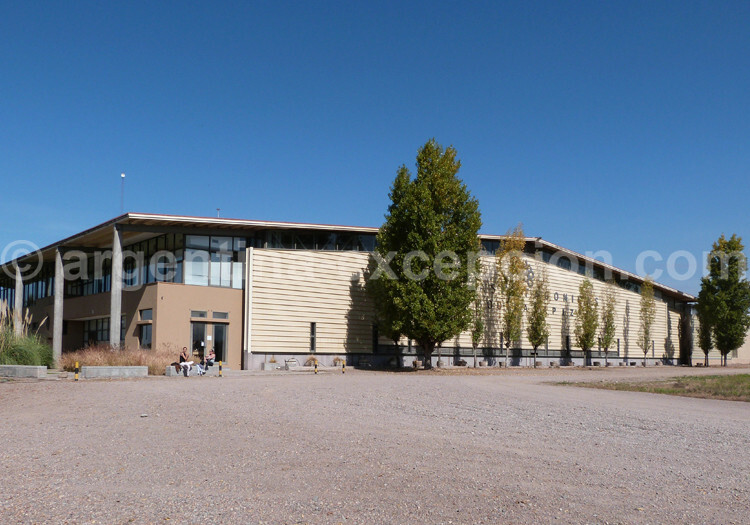 The winery, with a very original modern architectural style, grows in Mendoza tempranillo, merlot, cabarnet sauvignon, malbec, syrah and sauvignon blanc. O.Fournier, Alfa Crux, B Cruz and Urban Uco products. Open to the public. 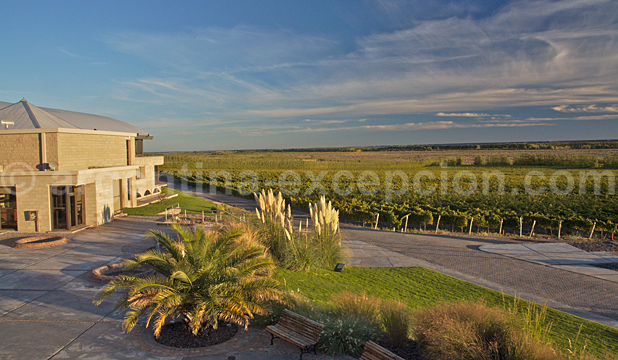 Salentein wineries belong to one of the biggest families in Mendoza. The building, cross-shaped, has a small winery in each wing, with a big central patio. The vinestocks are cabernet sauvignon, malbec merlot, syrah, pinot noir, chardonnay, sauvignon blanc. Salentein, Numina, Primus, Los Leones Products. Open to the public. Winery founded in 1928, with prevailing cabernet sauvignon, but also malbec, merlot, pinot noir, syrah, chardonnay, sauvignon blanc. Appellation of controlled origin. Extra brut champagne. Open to the public. Its aim: to produce the best syrah in Argentina, with a range of young and fruit wines and a range of conservation wine. Blanc chardonnay and viognier, rosé syrah. Labels: Grand Callia (limited edition), Callia Magna, Callia Alta. Open to the public. 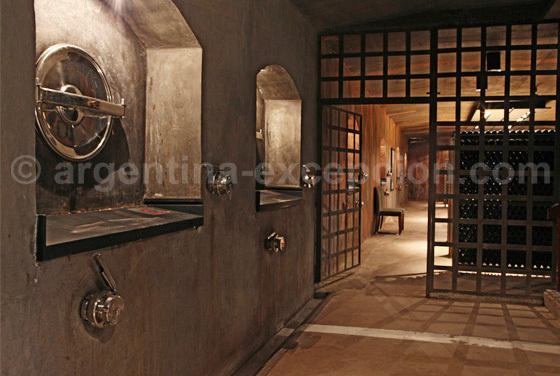 The winery was founded in 1870 and opened Santiago Graffigna wine museum in 2002. The winery has several vineyards, with a plot of biologic syrah and tannat. Open to the public. Located between 2,200 and 3,000 meters above sea level, the vineyard of Colomé winery is the highest in the World, in the amazing landscape of the Calchaquíes Valleys. The history of this vineyard is 150 years old, when malbec and cabarnet sauvignon were imported from Bordeos region, which was then stricken by a phylloxera epidemic. The Suiss Donald Hess bought the winery and wanted to make one of the best wines in the World. Open to the public. This winery started growing grapes in the 60s, with a first production in 1978. It grows grapes in five different places, with vineyards of malbec, cabarnet sauvignon, merlot, syrah, tannat, chardonnay and torrontés. Palo Domingo, Domingo Molina, Domingo Hermanos, Rupestre and Finca de Domingo products. Open to the public. The winery was born in 1882, when two French brothers David and Salvador Michel planted their first vinestocks. Elementos, Don David, Maximus Ciclos products. 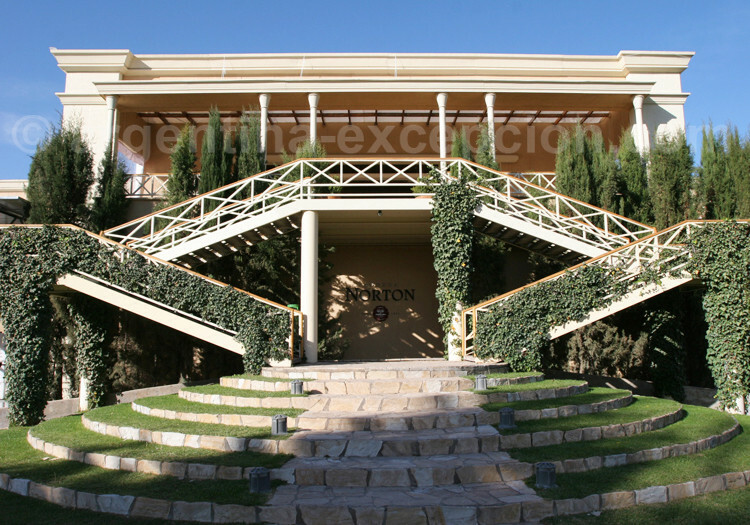 The hotel Patios de Cafayate is inside this splendid winery. Open to the public. 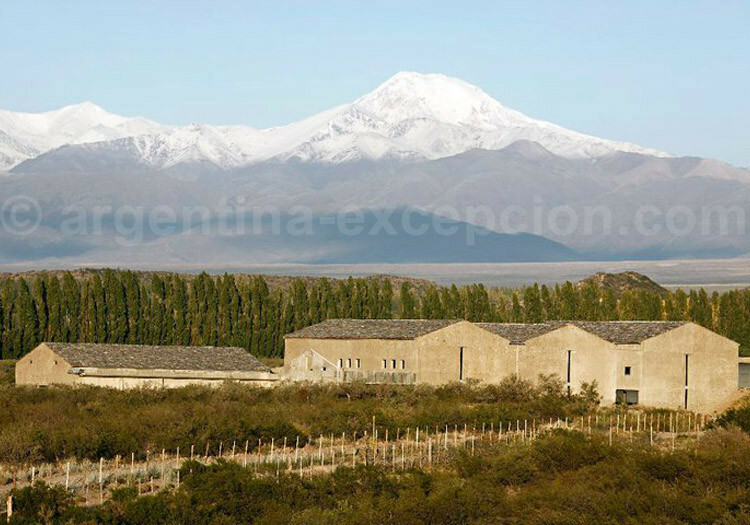 Founded in 1850, Etchart winery is pioneer in the Calafate region, where it started growing torrontés, then cabarnet sauvignon, malbec, merlot and chardonnay. The Pernot-Ricard group bought it in 1996. The last creation: a torrontés late vintage (end of April). Open to the public. Winery founded in 1870 by José Lavaque, whose descendants are still the owners. In 1930, the Lavaque family created a second winery in San Rafael. 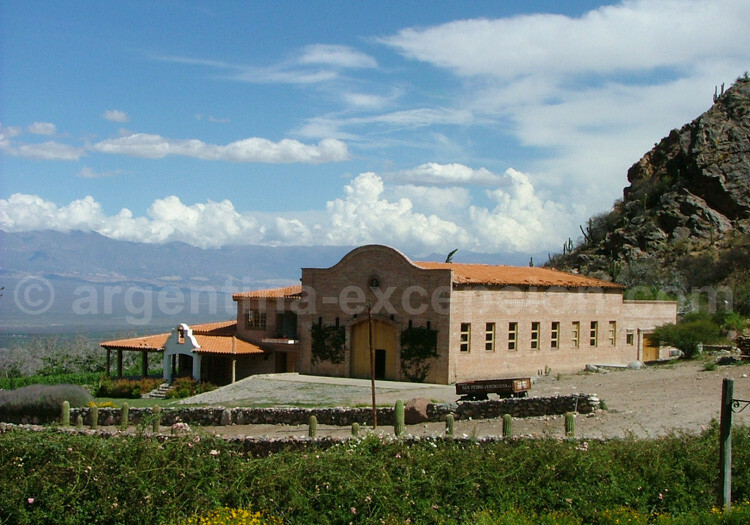 The winery in Cafayate stands out mainly for its Quara Torrontés, which vineyard was the first to be planted in the region in 1910. It also has malbec, cabarnet sauvignon and tannat whose blend is one of the best wines in the winery, under the label Felix Lavaque. Open to the public. José Mounier created Bodega Finca Las Nubes in 1999. 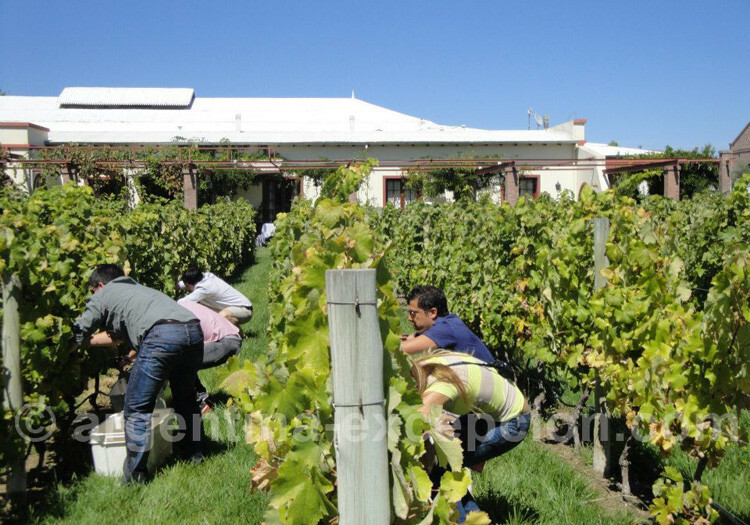 This son of viticulturists from Mendoza eventually decided to grow torrontés, cabarnet sauvignon, malbec and tannat in the Cafayate region, with a yearly production of 50,000 bottles. J.L Mounier and Finca de las Nubes products. Open to the public. 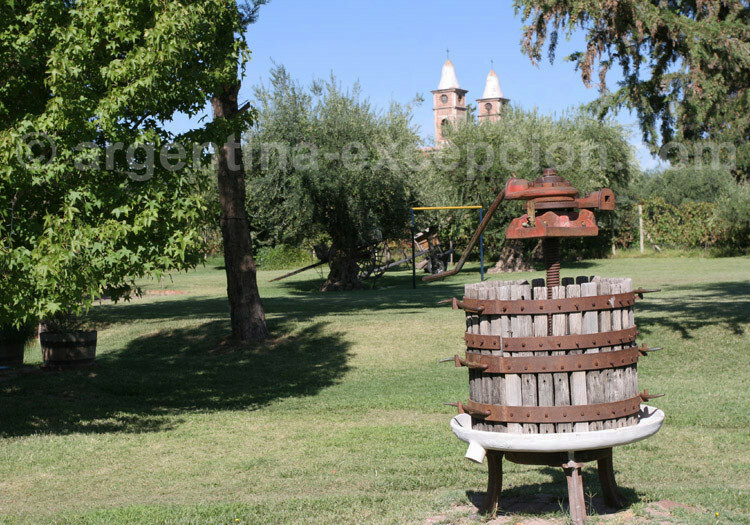 Created by Prieto Nanni, Italian immigrant who planted his first vinestocks in 1897. 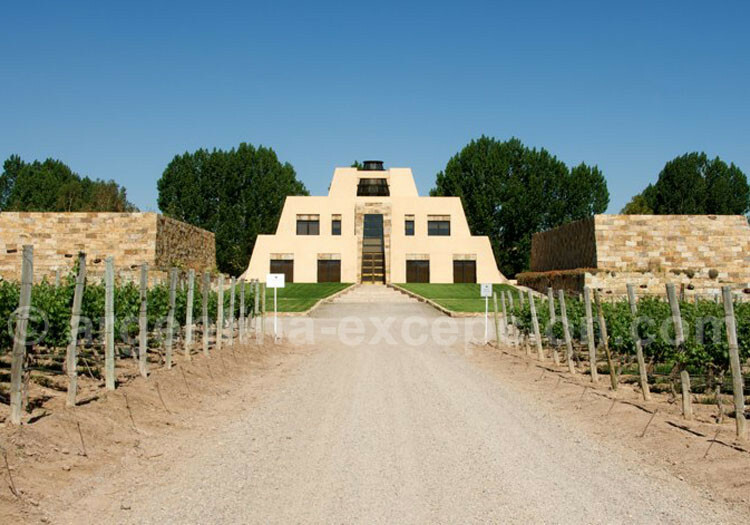 The winery has produced biologic wine since 1987 and grows vineyards of malbec, cabarrnet sauvignon, tannat and torrontés. Open to the public. 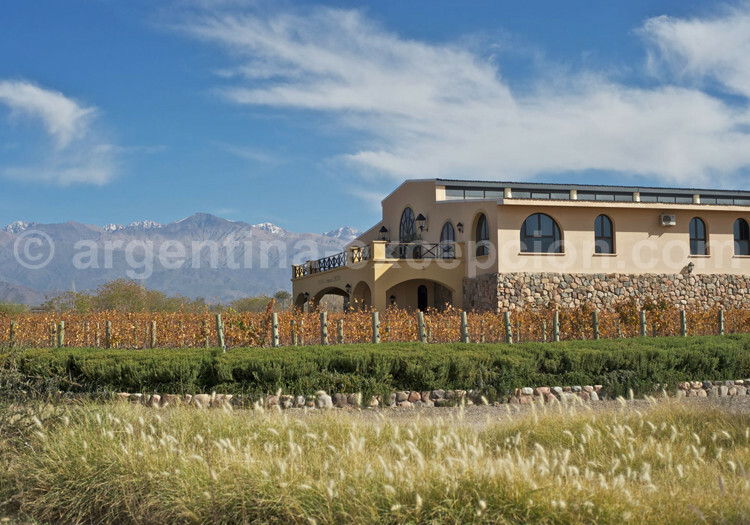 Established in the most prestigious wine-producing regions of the country, the Bodega Piattelli owns three properties, two in the province of Mendoza and one in Salta. 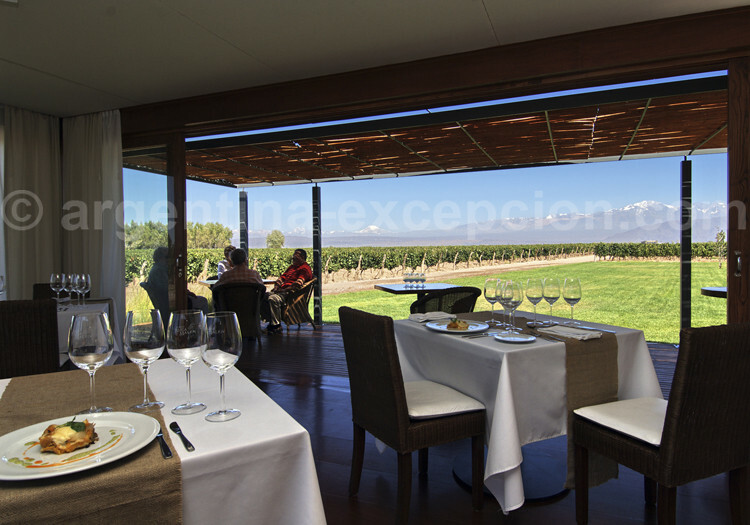 The bodega produces red wine, white wine and rosé from different varieties of vine such as Malbec, Cabernet Sauvignon, Torrontés or Chardonnay. 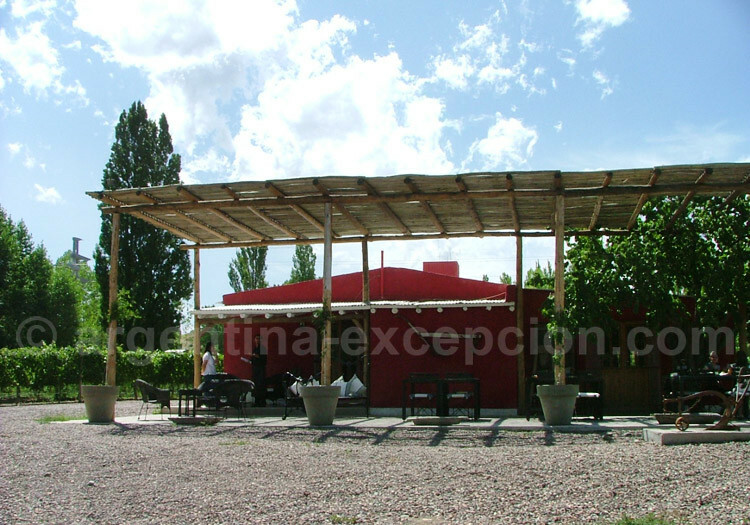 Two establishments are open to visitors in Agrelo and Cafayate. 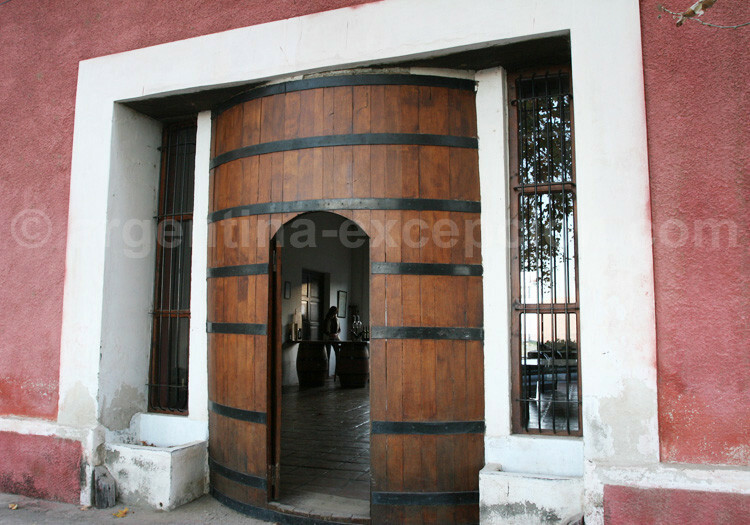 This winery is part of Bodegas Etchart, which was bought in 1996 by Pernod-Ricard group. 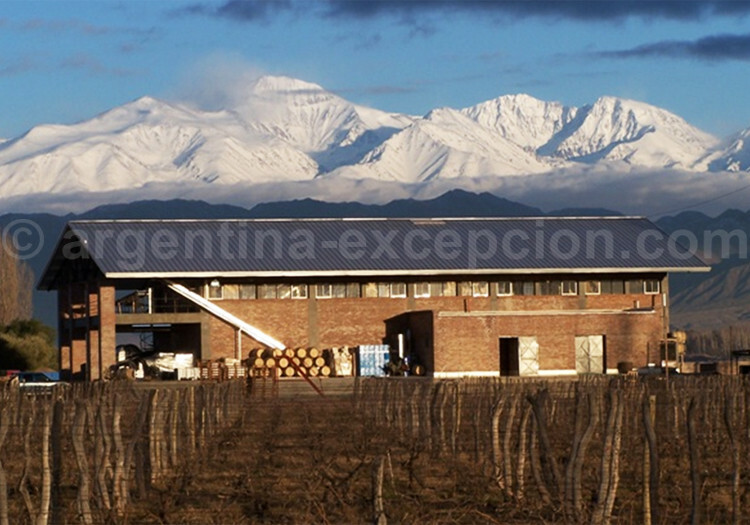 First production in 1995 with vineyards such as malbec, cabarnet sauvignon and torrontés. Open to the public. 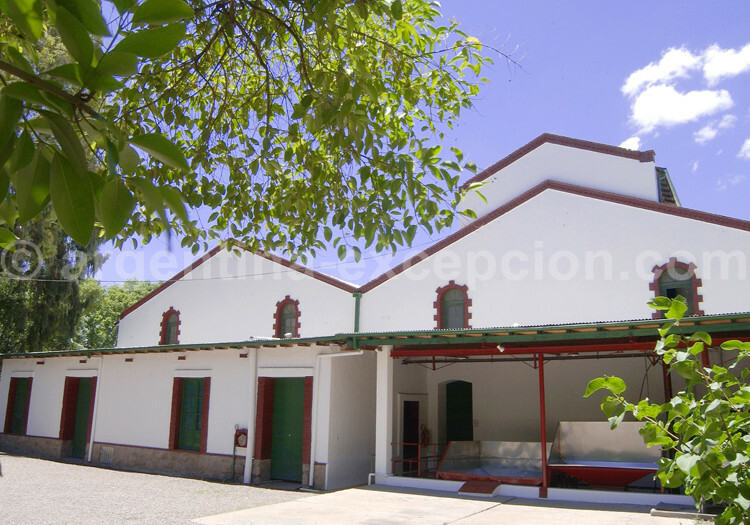 The oldest winery in the Calchaquíes Valleys, with its first vinestocks planted in 1857. Vineyards of torrontés for white wines, cabarnet sauvignon, malbec and merlot for the red wines. Its wines are sold under the label Vasija Secreta. Open to the public. The winery was created in 2002. 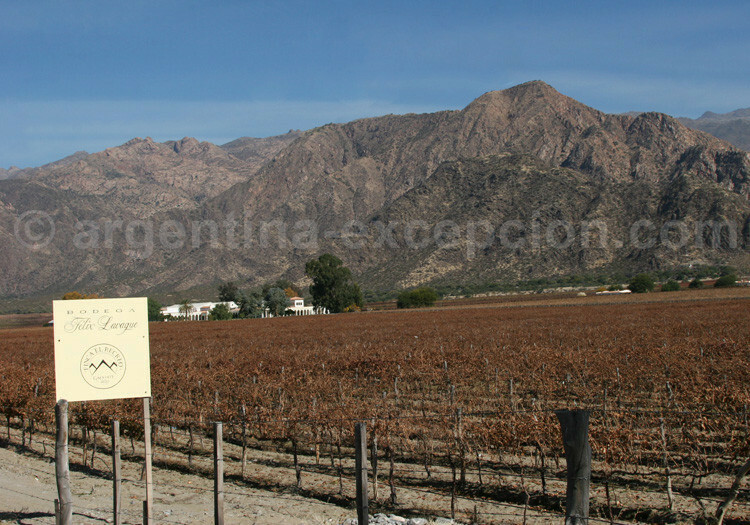 The vinestocks are malbec, merlot, pinot noir, chardonnay, sauvignon blanc, cabarnet, sauvignon, torrontés, for wines sold under the labels Schroeder and Saurus. Open to the public. 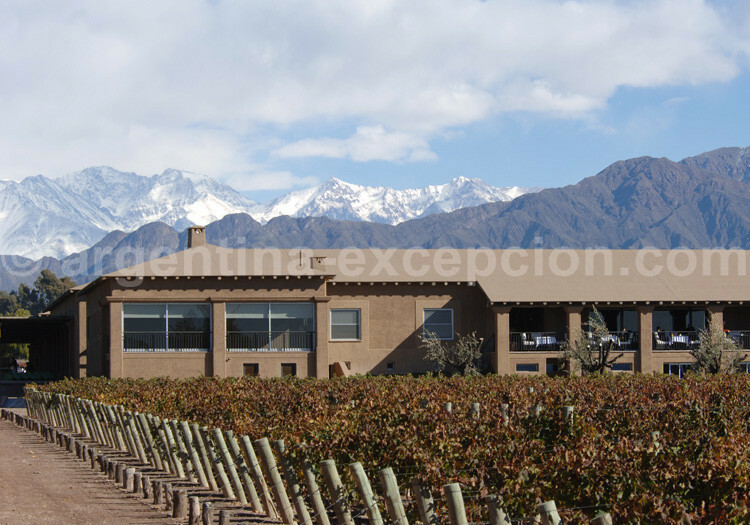 Founded in 1999, the winery grows vinestocks of malbec, merlot, cabarnet sauvignon, pinot noir, syrah, cabarnet franc, tannat, chardonnay, sauvignon blanc, semillón, viognier. Open to the public. 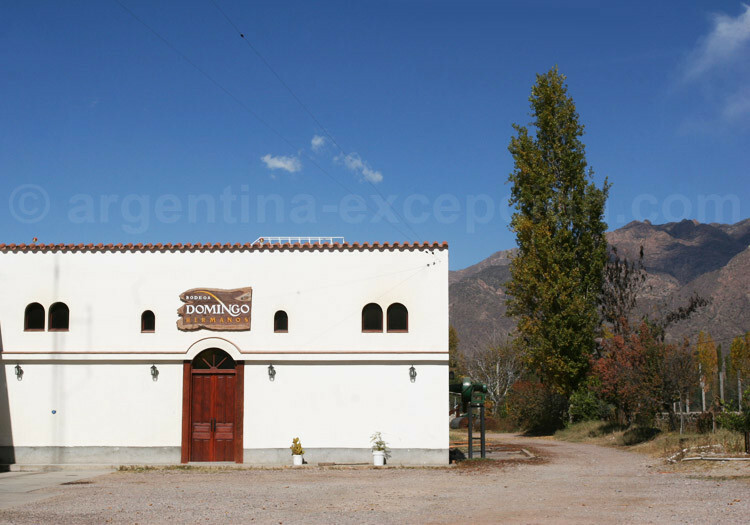 Winery created in 1909, produces wines made from cabarnet sauvignon, pinot noir, merlot, malbec, cabarnet franc, sauvignon blanc, semillón, torrontés and viognier, sold under the labels Humberto Canale, Intimo Black River and Diego Murillo. Open to the public.